Obama called Garland, a long-time jurist and former prosecutor, "one of America's sharpest legal minds" and deserving of a full hearing and Senate confirmation vote. Republican leaders, however, have said the vacant high court seat should not be filled until a new president is elected, a stance Senate Majority Leader Mitch McConnell emphasized immediately after the White House announcement. Garland, who had been passed over before, choked back tears, calling the nomination "the greatest honor of my life." He described his grandparents' flight from anti-Semitism in Eastern Europe and his modest upbringing. He said he viewed a judge's job as a mandate to set aside personal preferences to "follow the law, not make it." Obama held up Garland as diligent public servant, highlighting his work leading the investigation into the Oklahoma City bombing and prosecutions. He quoted past praise for Garland from Chief Justice John Roberts and Sen. Orrin Hatch. And he said Garland's talent for bringing together "odd couples" made him a consensus candidate best poised to become an immediate force on the nation's highest court. The president urged the Republican-led Senate not to let the particularly fierce and partisan political climate quash the nomination of a "serious man." "This is precisely the time when we should play it straight," Obama said. If confirmed, Garland would be expected to align with the more liberal members, but he is not viewed as down-the-line liberal. Particularly on criminal defense and national security cases, he's earned a reputation as centrist, and one of the few Democratic-appointed judges Republicans might have a fast-tracked to confirmation — under other circumstances. In the current climate, Garland remains a tough sell. Republicans control the Senate, which must confirm any nominee, and GOP leaders want to leave the choice to the next president, denying Obama a chance to alter the ideological balance of the court before he leaves office next January. Republicans contend that a confirmation fight in an election year would be too politicized. Republicans have set up a task force that will orchestrate attack ads, petitions and media outreach. On the other side, Obama allies are to run a Democratic effort targeting states where Republicans might feel political heat for opposing hearings. Obama's choice risks deflating some of the energy among the Democratic base. Progressives and civil rights activists had pushed the president to name an African-American woman or to otherwise continue his efforts to expand the court's diversity. Garland — a white, male jurist with an Ivy League pedigree and career spent largely in the upper echelon of Washington's legal elite — breaks no barriers. At 63 years old, he would be the oldest Supreme Court nominee since Lewis Powell, who was 64 when he was confirmed in 1971. Those factors had, until now, made Garland something of a perpetual bridesmaid, repeatedly on Obama's Supreme Court lists but never chosen. But he is finding his moment at a time when Democrats are seeking to apply maximum pressure on Republicans. A key part of their strategy is casting Republicans as obstructionists ready to shoot down a nominee that many in their own ranks once considered a consensus candidate. In 2010, Hatch called Garland "terrific" and said he could be confirmed "virtually unanimously." A native of Chicago and graduate of Harvard College and Harvard Law School, Garland clerked for two appointees of Republican President Dwight D. Eisenhower — the liberal U.S. Supreme Court Justice William Brennan Jr. and Judge Henry J. Friendly, for whom Roberts also clerked. In 1988, he gave up a partner's office in a powerhouse law firms to cut his teeth in criminal cases. As an assistant U.S. attorney, he joined the team prosecuting a Reagan White House aide charged with illegal lobbying and did early work on the drug case against then-D.C. Mayor Marion Barry. He held a top-ranking post in the Justice Department when he was dispatched to Oklahoma City the day after the bombing at the federal courthouse to supervise the investigation. The case made his reputation. He oversaw the convictions of Timothy McVeigh and Terry Nichols, and later supervised the investigation into Unabomber Ted Kaczynski. His prolonged confirmation process then may have prepared him for the one ahead. 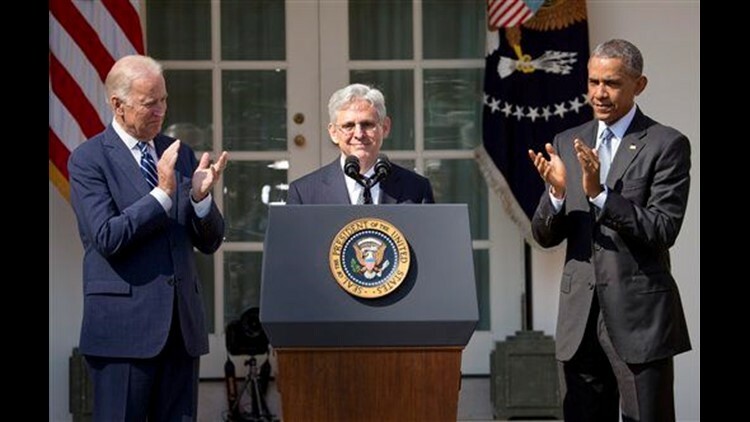 Garland waited 2½ years to win confirmation to the appeals court. Then, as now, one of the men blocking his path was Iowa Sen. Charles Grassley, who argued he had no quarrel with Garland's credentials but a beef with the notion of a Democratic president trying to fill a court Grassley felt had too many seats. Grassley ultimately relented, although he was not one of the 32 Republicans who voted in favor of Garland's confirmation. Nor was Sen. Mitch McConnell, the other major hurdle for Garland now. The Republicans who voted in favor of confirmation are Hatch, Sen. Dan Coats, Sen. Thad Cochran, Sen. Susan Collins, Sen. Jim Inhofe, Sen. John McCain, and Sen. Pat Roberts.